The Auburn Rotary Club readied for the upcoming collegiate football season with Inside the Auburn Tigers' Mark Murphy (center). Murphy shared with the club information about the Auburn Tigers' fall season line-up, opponents and recruiting resulting from the news outlet's coverage. 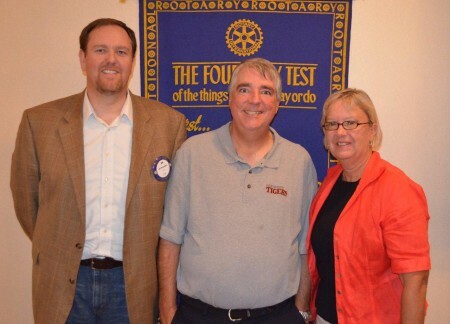 Murphy is pictured with the program host Becky Richardson (right) and club president-elect Jim McLaughlin (left).